When I was in fourth grade I became the governor of my class. For one term, anyway. There were three terms and a one-term limit on service. Before that I was the auditor and afterwards I became the librarian, which was a nice, laidback way to spend my post-political career. All of this was made possible by my fourth grade teacher, Mrs. Horney (yes, that was her real name). She set up a simulated government and economy in our classroom that in retrospect I appreciate as an epic, awesome undertaking that she was under no obligation to implement. She really went above and beyond the call of duty on this one, which is why I remember her fondly in my heart. After we had a state name and currency, we all had to get jobs. Mrs. Horney had a list of possible jobs, but I don’t remember how we handed them out. We probably raised our hands if we were interested in a certain job and somehow a winner was determined from those people. The school year was split into three terms and each term you had to switch jobs. We had a governor and deputy governor who I think were elected by the class, though I can’t be sure. I believe those were mostly figurehead positions, because I don’t remember passing any legislation when I was governor. 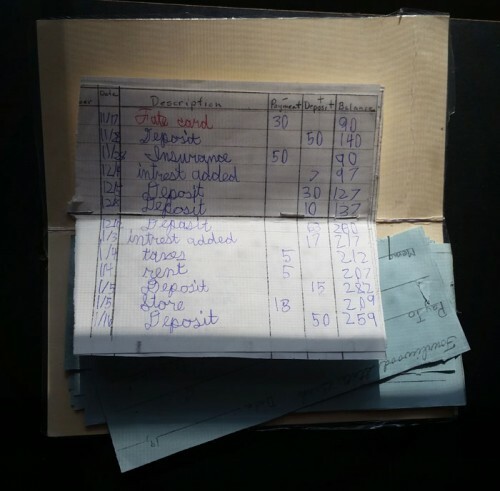 I was the auditor during the first term which means I had a shoebox of all the money in my desk. Remarkably, I never embezzled anything. I essentially acted as the state treasurer and tax collector. Yes, we had to pay taxes. 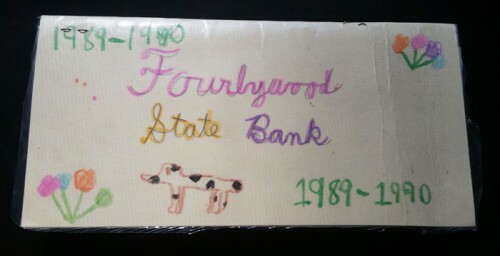 We also had a bank where you could deposit your doggies and write checks off your account. Two students were named bankers who managed all the bookkeeping. We had to pay rent on our desks every month, which I collected when I was auditor, and if you couldn’t pay your 5 doggies you got evicted and had to sit at a table instead. There were also minor fees you had to pay for some things, like using the pencil sharpener outside of designated hours, which I collected on behalf of the state. We were also subject to the whims of fate. Everyone in the class was assigned a number alphabetically by last name. Every month or two Mrs. Horney would get out the box of numbers and the governor would randomly select several from the box. These people were then in a car accident or their house was hit by a tornado or some other awful thing. They’d have to pay damages, unless they were insured. And now comes the part where I must confess something. During my term as governor, I remarkably was never hit by the whimsy of fate. In fact, the first number I pulled out of the box was number 4, my number, only when I read it aloud it sounded like “One.” That’s right, y’all, I was a corrupt governor. Which means Mrs. Horney’s simulated government was even more realistic than even she probably imagined. Thankfully there was no court system in Fourlywood or any police, so my corruption was never discovered and I was never indicted on any charges. It does make me wonder if anyone else in our class got away with embezzlement or theft or other felonies. 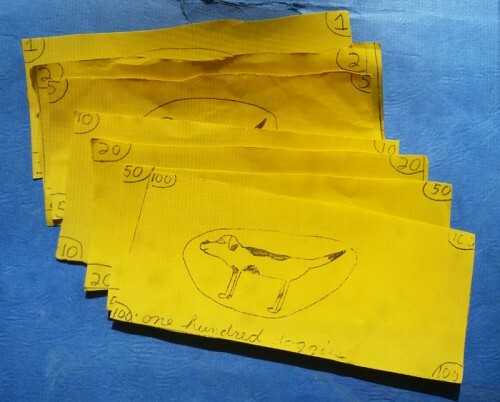 If you had access to yellow paper and a Xerox machine, counterfeiting would have been ridiculously easy. Overall it was a fantastic experience. It also happened to teach us about issues we’d have to face in the real world, like managing money and how to get away with deception. I’m not sure what happened to Mrs. Horney. I can’t even remember her first name, and my grade-school yearbook doesn’t list it either. (Yes, I had a grade-school yearbook. Yes, I think that’s kind of weird.) If she ever happens upon this post during a random Googling I’d like to let her know I appreciate all the work that must have gone into creating Fourlywood and thank her for going that extra mile. The fact that I still have Doggies stored in my closet a quarter of a century after the currency was devalued shows how much I enjoyed the experience. It was awesome. It was epic. Governor Fulda thanks her. What an amazing teacher! I loved this post – it reminded me of when I decided to turn all of my books into a lending library (of which I was the only patron). The best part was that my mom bought me one of those changing date stamps – there was nothing better than checking out those books. I would have loved to take part in this kind of a class project! That is so sweet! I hope she somehow sees this. It would mean a lot to her. I bet teachers don’t get nearly enough positive feedback. (Who does?) Thanks for sharing such a fun memory. @Deb Pysno – I did try Googling combinations of her name, the school, and the city it was in to try and find contact info for her, but came up with nothing. It would help if I could remember her first name, but what kid calls their teacher by their first name? I can’t believe you took things from 4th grade with you when you relocated! Omg! I’m in major purge mode around here right now, so that could be a factor. I guess now you owe us a pic of 4th grade Jennette. ps-did the class find the teacher’s name humorous? Or too young & innoncent. That is epic. And very useful for real life. So you must have been a good liar if no-one suspected anything. Did you feel guilty? I probably would have gone bright red. I remember my crime back in third grade, so I was probably about seven. Another girl bought in a toy (a small stuffed dog) that I coveted enormously. I took it and hid it in my bag. Then immediately told the teacher it was missing. There was a bag search. It was the first and only time in my life I was smacked (on the back of the thigh) by anyone. I was actually very indignant at the time. How dare my teacher smack me! I don’t even know how the toy got into my bag! The injustice! I don’t think I was cut out for a life of crime and punishment. @Natalie – I felt a smidge guilty. After I did it I still had to pull one or more numbers, so I swore to myself that if I happened to pull the number I’d swapped mine with I’d say my own number as a way to even things out. That didn’t happen though. You might call your old school and see if they can connect you. I just this week heard a former teacher talking about what it means (a lot) to teachers to hear from their former students. My kids had grade school yearbooks (K-8) and have already used them to look up old names and dates and pictures/faces. One of my girls worked on the yearbook in grade school and it was great experience. We had a similar system (using poker chips for $) when I was in 6th grade. My youngest had one in 2nd. It was greatly simplified. One of the boys punched out one of the other boys over something that year. Similar to what you were saying about tornados or the like. Punching boy had a lot of problems, it was him, not the system I think. What a great teacher! And I think it’s amazing you still have those fourth-grade mementos. Thanks for sharing a great memory. Jennette, try Carolyn for her first name. That is the name that comes to mind. What a wonderful teacher! Thank you for sharing this. @Mom – Thanks, Mom. I tried that and didn’t find much. Maybe she lives off the grid! Thank you for this wonderful post. I’m a teacher, it’s May, and kids and teachers are both getting a bit antsy. This post is a nice reminder of why I chose this profession.